Floor Mount Projector Stand secures projectors with full adjustments. 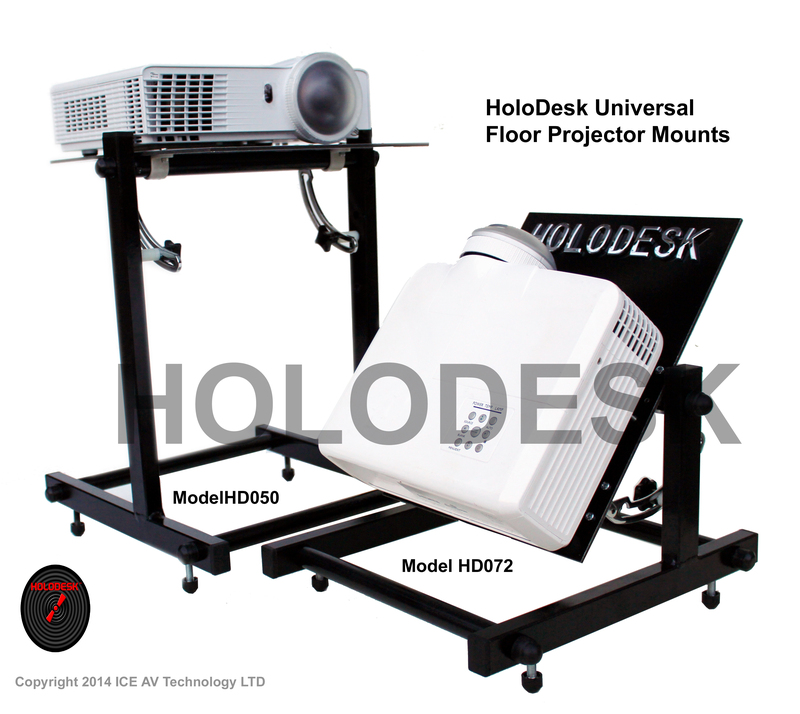 The new upgraded HoloDesk floor projector stand enables projectors to be mounted on the floor or bench for a wide range of installation requirement. When used with the multi touch HoloDesk it enables the projector to be securely positioned and easily adjusted. Our new floor based universal projector mount and stand has been designed and developed for the HoloDesk. It features 3 dimensional XYZ adjustment, adjustable non scratch feet, secure angle locking, universal mounting plate, packs down to a flat 30mm high. Extremely robust, Simple to assemble. Ideal also as a backdrop floor mounted projector for staging, DJ, weddings. back drop effects. We can customise for your requirements and overhead mounting applications. The mount dismantles quickly and packs down to 30mm high. Manufactured from steel and a composite mount sheet the mount has been designed for a life time. If the floor stand is damaged due to careless use, the Floor Stand can be repaired or parts replaced. Custom sizes can be made if required.